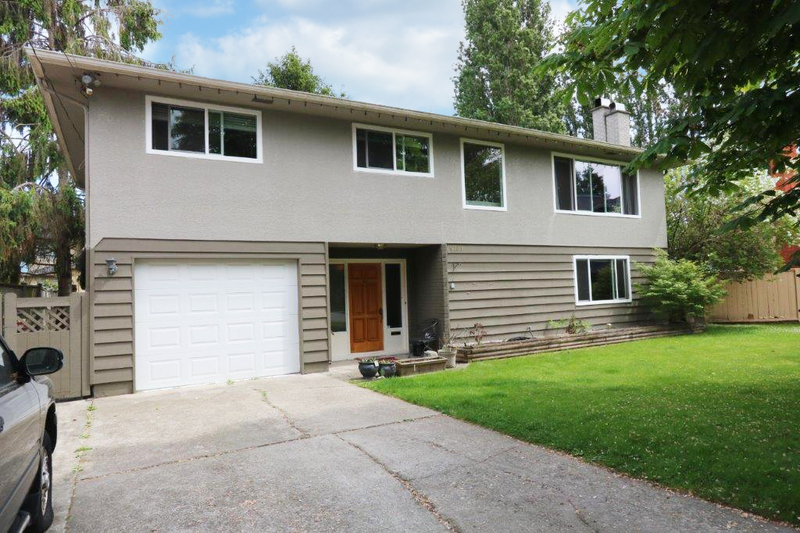 Spacious West Richmond Seafair ‘Monds’ 2-level home, main living up. Big, west-facing 7,339 sq.ft lot with rear lane acceess. Updated windows; newer roof. Close to Seafair Shopping, A.B.Dixon Elementary School, BC Transit and West Dyke Trail. Outdoor space: fully-fenced north-exposed backyard with patio and sundeck. Welcome to this great West Richmond family home in Seafair’s “Monds” neighbourhood. This four bedroom two-level offers plenty of space for growing families. Three bedrooms up; 1 bedroom down; full bathrooms on both floors. Gleaming oak hardwood floors with walnut inlays complements the modern decor on the main Level. Gracious dining room. Big eat-in kitchen with loads of counter tops and cabinets, stainless steel appliances & huge sundeck w/stairs down to large patio & private backyard. Double windows throughout provide loads of natural light on both levels. Wood f/p in living & rec rooms. Inviting entrance hall. Upgraded electrical in 25’x11’5 single garage. Newer roof & HW tank. Big lot with bonus of rear lane access for RV pkg. Why Spring Season is The Best Time to Replace/Install Your Home Roof? Is It Worth Spending The Money on a Swimming Pool For Your West Vancouver and Kelowna Home? Should Tenants Be Responsible For Lawn Maintenance?